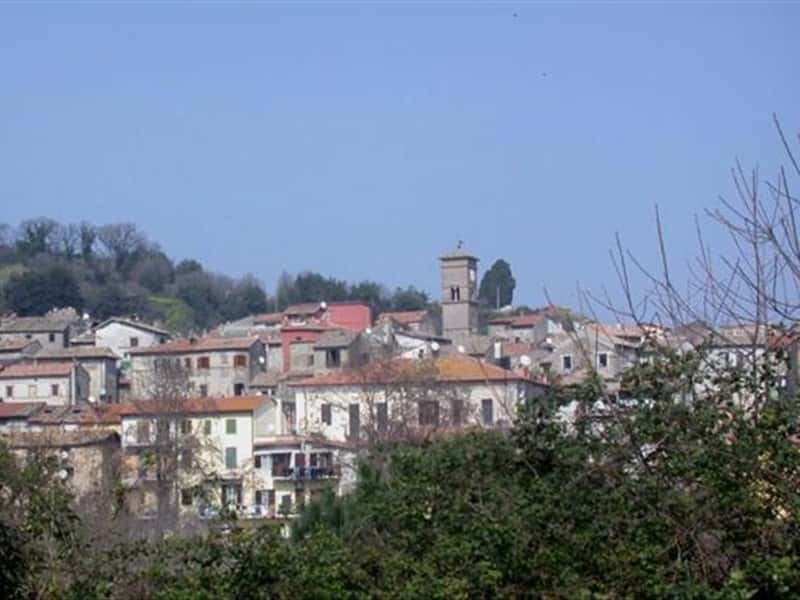 Sacrofano is a town in the province of Rome, nestled on the volcanic slopes of Mount Musino. The town's name origins are uncertain: for some, in fact, the local tales associate it to the presence of a legendary sow (which, among other things, also appears in the coat of arms), while others claim the existence of a famous throne, entitled to a goddess (sacrum fanum). Subject by the Etruscans and being part of the territory of Veio, with the subsequent conquest by the Romans, in the area of Sacrofano, several nobles villas were built, thanks to its proximity to the Via Flaminia and Via Cassia. Abandoned almost concurrently with the fall of Empire, only in 775 the "fundus Scrofanum" became a possession of the Church of Santa Maria in Cosmedin, while in 1027 it is mentioned among the possessions of the Diocese of Selvacandida. From the XIII century onwards it submitted the domain of the prefects of Vico, the Savelli, the Nardoni, the Orsini and the Chigi. - the Church of San Biagio, built in the second half of the XV century. This town web page has been visited 25,174 times.